Entrance exams are really tough because for every single seat there may be hundreds or sometime even thousands of candidates are competing. If you want to stand out from the rest then you must have an edge over other competing students. Reading the best books is one of the important key to get success in any entrance exam. So we prepared a list of popular competitive exams and best books to crack those exams. 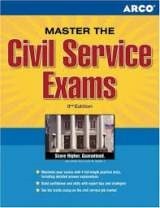 Civil Service exams like IAS, IFS, IPS are difficult to crack and you need right kind of preparation to crack IAS preliminary round and then mains. 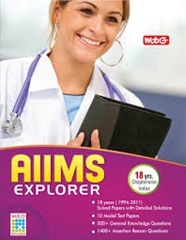 For preparing IAS or IPS you need to go through several books on different topics. Here are some of the name of important books for IAS preliminary. Bank PO jobs are not easy to crack. For one post over 1000 students apply from all over the country. You need to work hard and need right book for preparations. CWE IBPS by Kalinjar Publications. It covers written test for PO, officers for different banks like SBI, PNB and other public sectors banks. 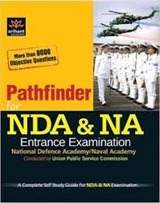 There are two entrance exams mentioned here NDA (National Defense Academy Examination) entrance examination and Combined Defense Services examination. Former one is for candidates after 10+2 and later one is for graduates. If you crack the exam then you could be officer in army, air force and navy. Here are some books that you need to crack these two exams. Railway is one of largest recruiter in this country. 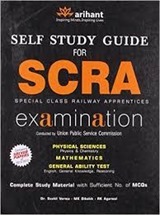 Young undergraduates from all over the country apply for special class railway apprentice entrance exam conducted by UPSC. Competition is very tough and only few get selected. 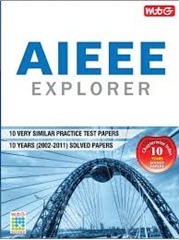 All India engineering entrance examination or AIEEE is second most prominent exam after JEE. Students from all over India attempt for AIEEE because it is an entrance exam conducted at national level just like JEE. So you need serious preparation time and here are some of the books. I think everyone knows about Indian Institute of Management. They are just like IITs. Only difference is IIT is for undergraduates and IIM for post graduates. IIMs are one of the best management schools in the country. The last but not the least is Test of English as a Foreign Language. TOEFL or IELTS are important if you want to get admission in US universities. Non native English speakers need preparation to pass this test. So these were books for 10 different entrance exams for Indian undergraduate and post graduate students. Start preparing for your entrance exams with these books. Next articleHow to Choose a Career (Practical Way) of Your Own Choice? can we give entrance for post of Bank pO Aftr graduation?? Thank you very much for this support . Please can I get the information regarding the books for government exams on 12th basis. pls prescribe me the best books which is enough to clear ibps exams through self study because i have no time for any coachings….. Which book is best for govt job entrance test of Medical Laboratory Technician. What is the best book for staff nurse job? I want to see the list of book for defence jobs. Your website is very informative I just search about latest jobs in jobisearch.com. I found your website is very useful for latest updates about education and students. Who want to know about education I bookmark your site and also recruitment to all of my friends.